This fitness brochure comes with some very good features and at the same time it also includes some very good designs that would attract most of the people out there. With great colour combinations, you can make an ad about your Zumba or Yoga classes using this free brochure template. 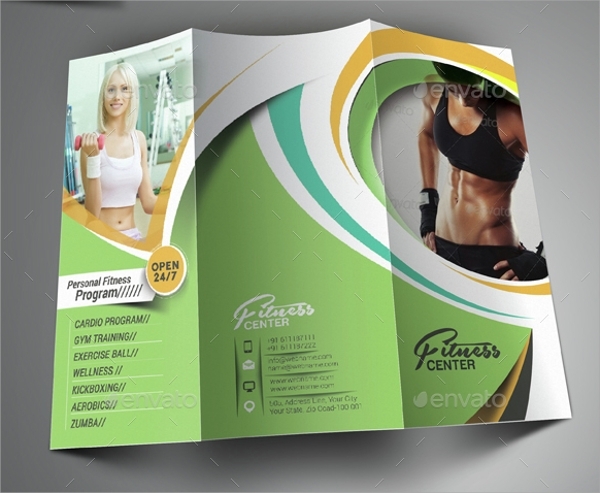 This tri-fold fitness brochure template is a very effective way to make an advertisement of your fitness or yoga classes or gymnasium for that matter. The template is free and the tri-fold concept that it has incorporated gives it a great credibility. 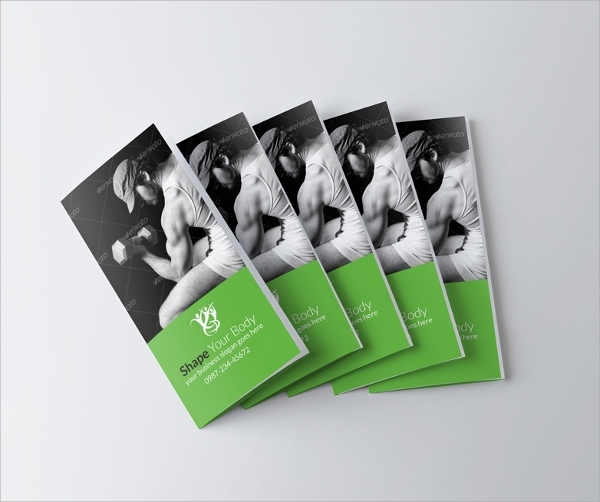 You can use a great theme for your sports and fitness brochure with this template. The theme is attractive and while being so it is also very useful to send out the details of your yoga or fitness classes. This theme comes for free. 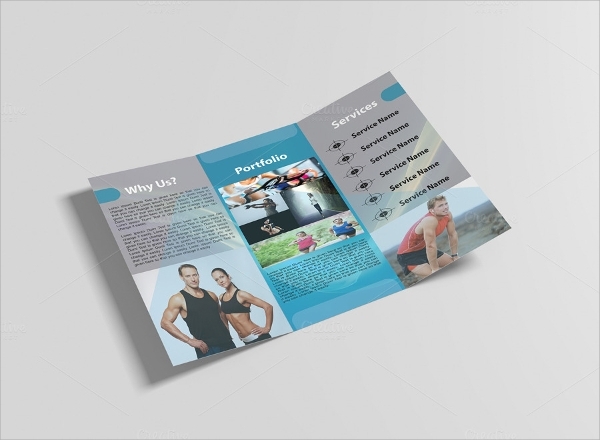 If you want to use a peppy theme for your yoga class advertisements, this bi-fold fitness brochure might come in really handy and work very well. You can add pictures and make the brochure visually attractive as it has provisions for the same. You can use this brochure template for free. 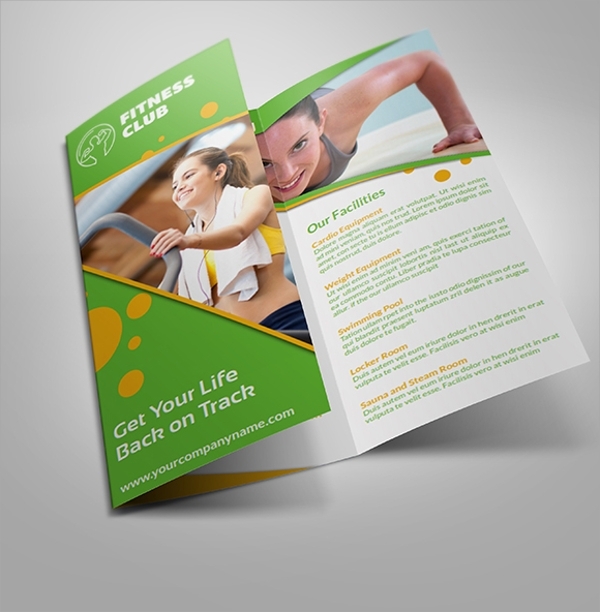 You can use this free brochure template to promote your fitness club as well as yoga classes. This template is very useful in many aspects, the most important being its ability to get resized without compromising on the quality, which means you can use the same theme and design for any size of brochure according to your wish. You can use this personal training brochure template for endorsing your personal training program or your personal yoga classes. The template is editable to a great extent and gives the user a lot of freedom to make changes according to their will. 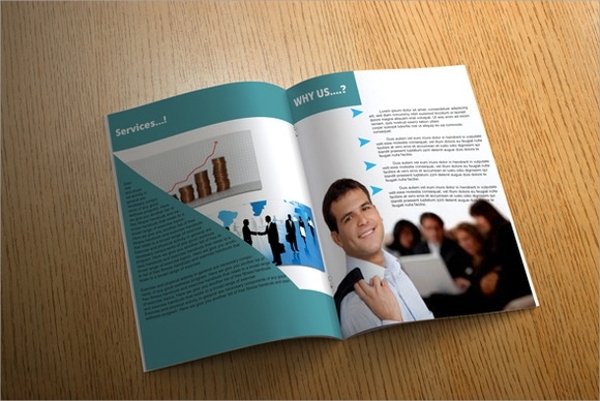 Therefore this free brochure template becomes the right thing to use. 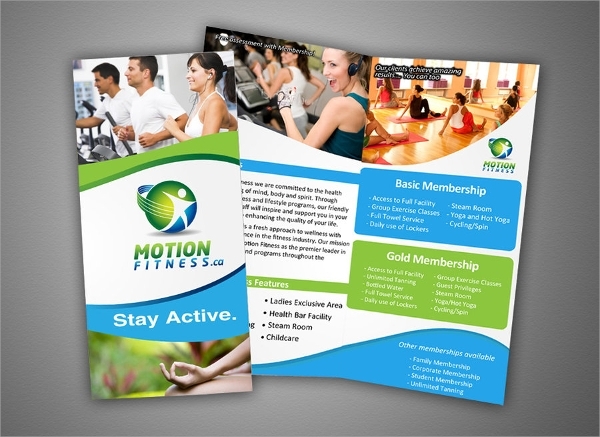 You can use the fitness centre brochure template to make a very effective ad of your fitness centre or yoga class. The best part of this brochure is the division that it has made between the inside and the outside. 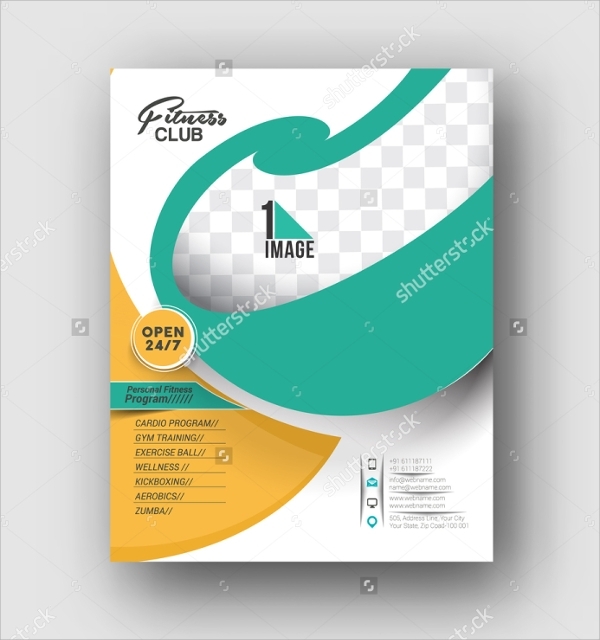 The outer part of this brochure is full of graphics and illustrations which can attract people and on the inside it can be filled with all the necessary content that you want to reach the customer with. 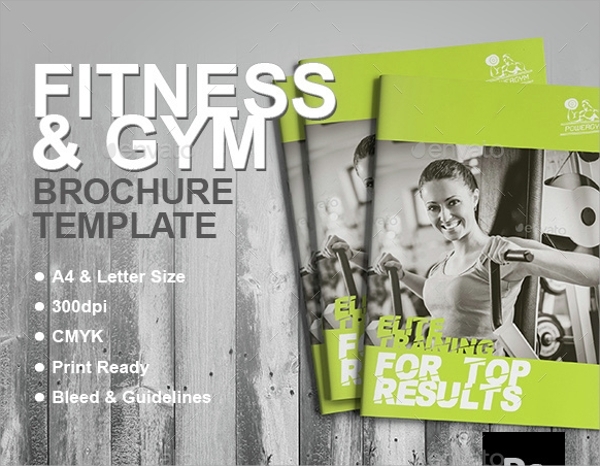 You can create your own customized fitness guide brochure using this free template. It has proper space for adding images and at the same time, it also has a lot of space which you can use to describe fitness and yoga. 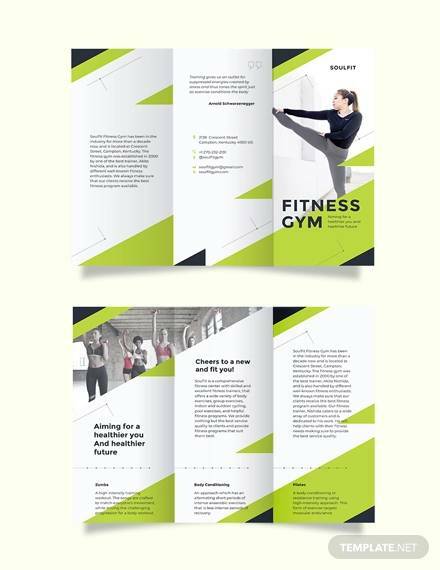 Very easy to edit, you can use this fitness brochure template to design your brochure and add customized images as well as content that you wish to flash on the front cover. This template is very useful in these regards and its size is also standard which makes it better. 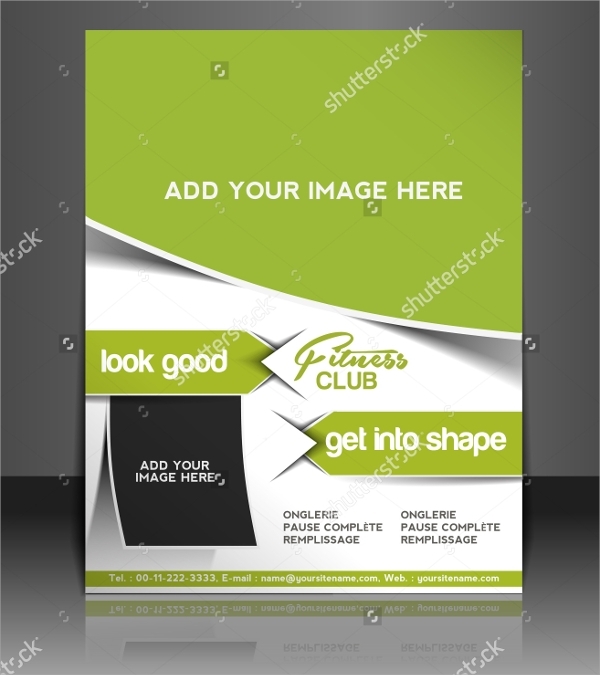 You can use this brochure template for men’s yoga classes or fitness clubs. The brochure has been specially designed with a solid theme that can attract men. The theme is customizable and there is ample space for the content as well. 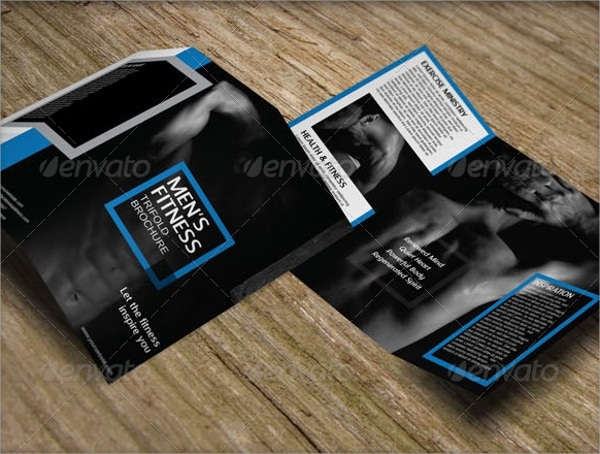 You can use this free template to create the perfect men’s fitness brochure. 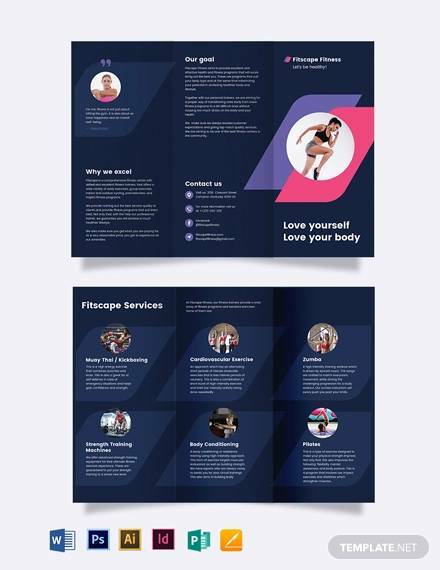 You can use this brochure template to create a small booklet about fitness and curate the content yourself and customize the brochure altogether. It comes with a great theme and also has some really attractive graphics about it. You can use it to endorse your gym or yoga classes. You can create a really good yoga fitness brochure using this free template. It is attractive on the outside and on the inside it can be filled with all the information about yoga as well as some graphic imagery about different yogas and their necessity. You can use this colorful and attractive fitness brochure for your gym or yoga classes. It has a variety of colors, all of which are soothing to the eye and represent the gym pretty well. This brochure template is free of all costs. 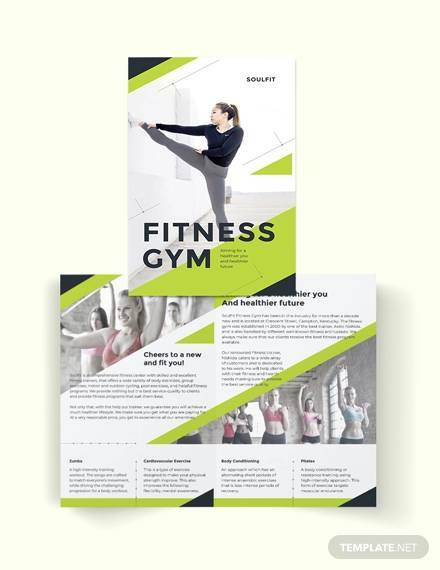 Using some really cheerful images that can set one’s mood to go burn some calories, this fitness brochure template has been designed in such a manner that it also meets the necessity of utility while being attractive. You can get this template for free. 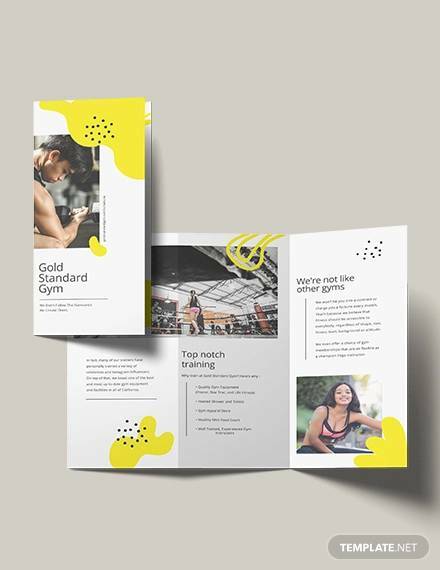 If you want to use some solid colors and create a brochure template that has a unisex tone about it, this fitness trifold brochure bundle is just the thing you are looking for. Apart from the attractive design, its trifold feature makes it more ergonomic as well. 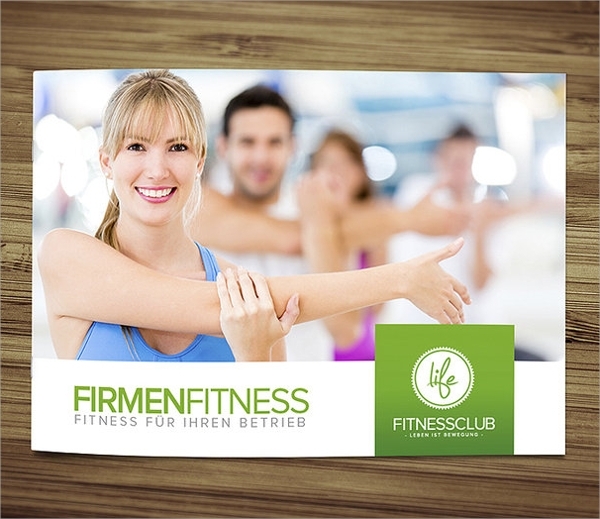 Endorse your fitness club in a manner you would have never before endorsed with the help of this fitness gym brochure. It comes in a tri-fold format which is why it has ample space for content as well as there can be some images on the outside. 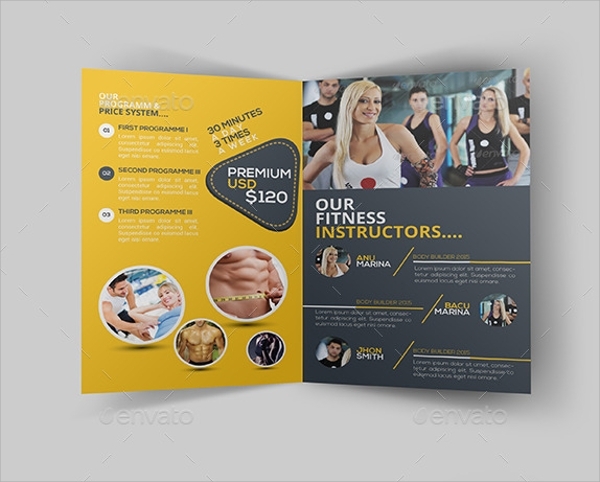 You can use this brochure template to create a very sophisticated fitness brochure that can be used to endorse your gymnasium or yoga classes. 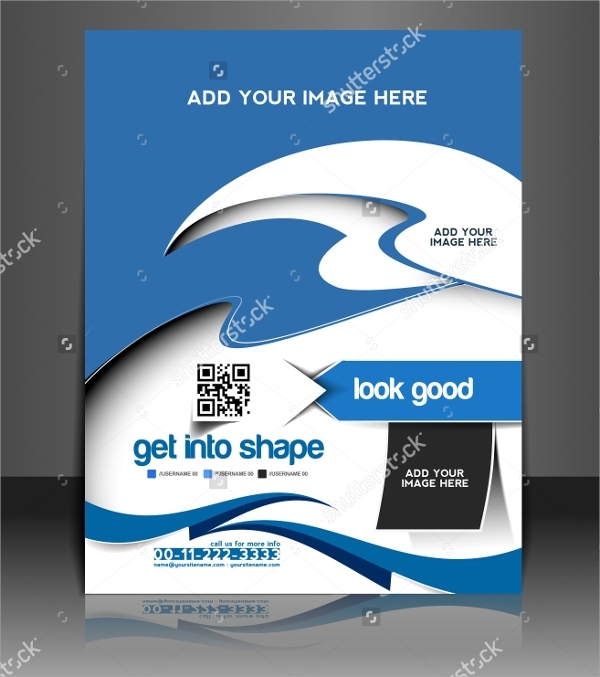 You can use this brochure template free of cost. The size of the brochure is also just about perfect. 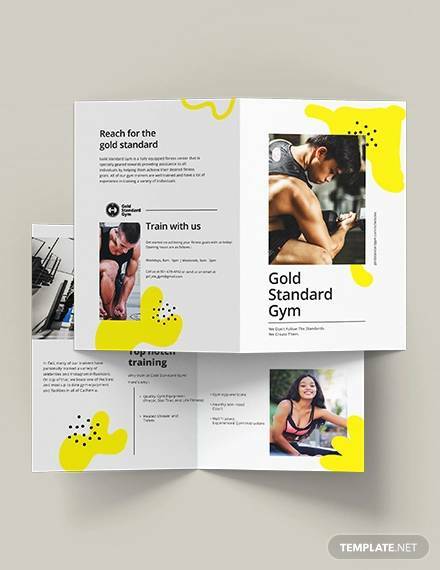 If you want to create something very different in order to endorse your gym or yoga training sessions, this brochure template is the best thing for you. It contains some very attractive graphic imagery and also has ample space for adding text. 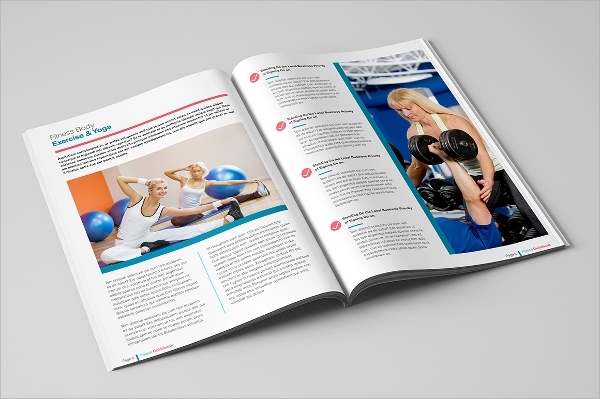 You can use this brochure template for a very attractive and useful prospectus of your gym. 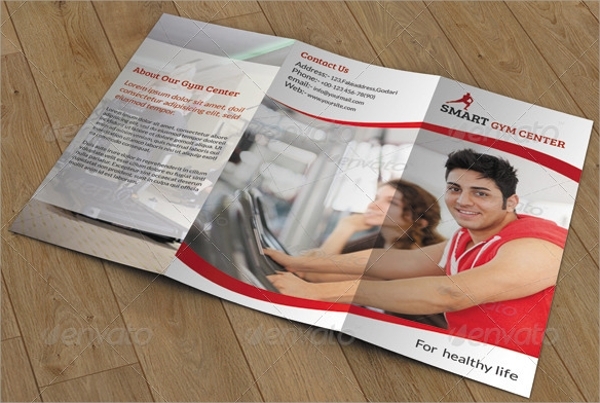 The tri-fold fitness brochure comes with a large picture which you can use to create an imposing charm of the gym. This template can be used for free, without incurring any charges. 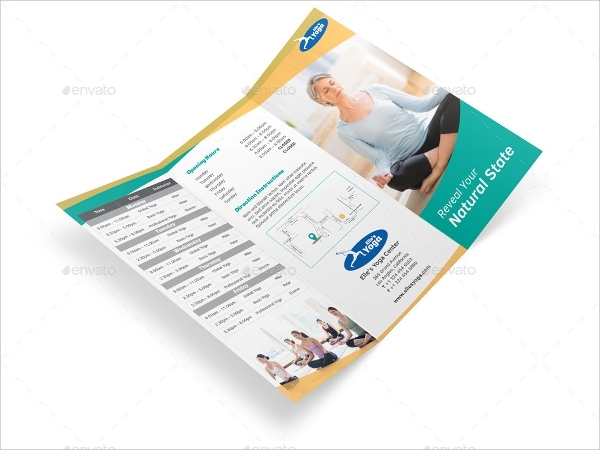 You can create a really attractive and sophisticated brochure about your yoga classes or your fitness centre using this tri-fold brochure. It uses some really good colour combinations to make a statement and is sure to help you thrive your business. 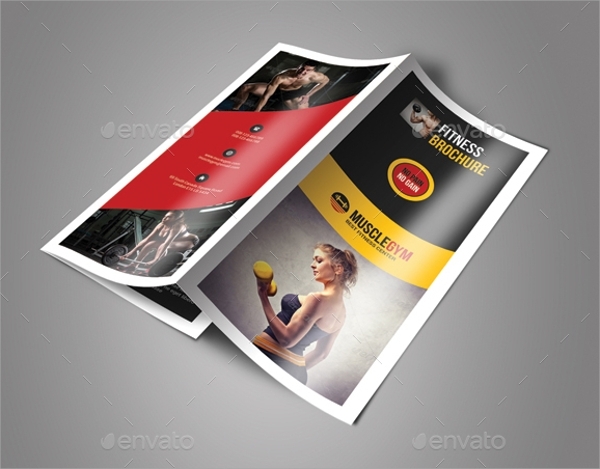 These brochure templates have been designed to serve every single purpose of the gym and fitness industry. You can use these templates or combine them to create some very powerful flyers or brochures that are sure to give you an upper hand in your job.